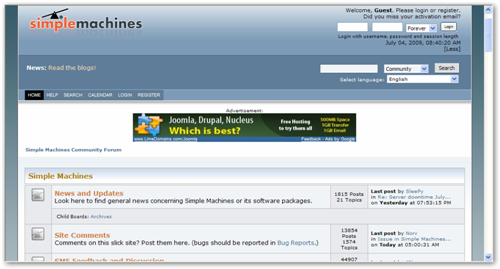 (SMF) – Another popular free forum script. SMF great feature is its integration with other popular script. It is also widely used forum script with lots of support and resources.